"Some of the most exciting footage ever to come our way via documentary route"
""Mission to Malaya" went a long way to explain why many returning members of the Peace Corps now miss the purposefulness of life, which they felt in their volunteer, service overseas." "No other television show this season has encompassed the human dignity, the perfect idealism, the practical value and the sweeping grandeur of raw adventure"
What does it take to make it in the Peace Corps? 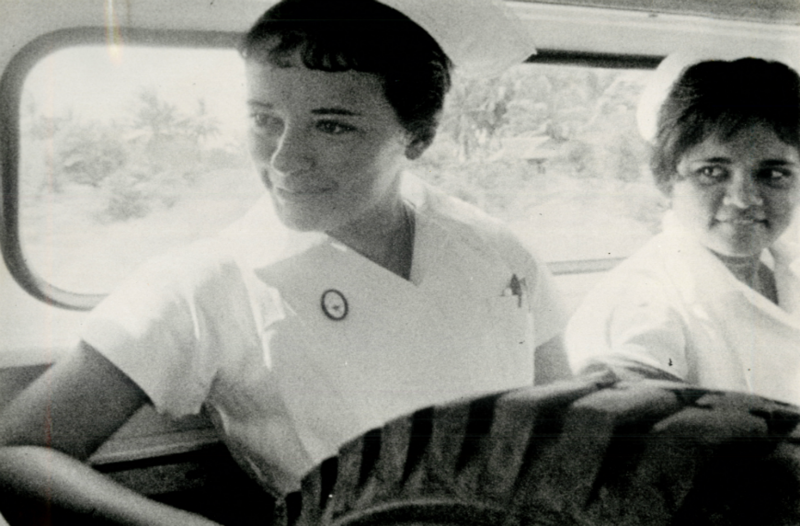 On her first day in her new assignment, a young nurse who is replacing another Peace Corps nurse who had become a legend among the residents of the Malayan island of Langkawi, braves the storm-swept waves of the Strait of Malacca to get a patient in extremis to the only hospital in the area.